Many teenagers still long for a relationship with their parents, but they are unsure how to have one or what their role could be in thinking correctly about a parent and the possibility of restoring what the parent has broken. Member Question – I have a teenage girl who lives with her grandmother, who adopted the girl as a baby. Her bio-mother is an addict, who now wants to re-enter the girl’s life. Her dad is out of the picture. The girl (Mable) wants to have a relationship with her bio-mom, but attempts have been interrupted by her mom’s addiction. Mable loves the Lord and wants to do right. I hope to meet with her soon. If I do, how would you advise? I praise the Lord that you are there for her, which is a mercy from Him to provide a caring person and a local church for Mable. One of the things I would want you to consider is not to over-prepare for your meeting with her. Sovereign God is working in her life, and He has brought her to you. You say Mable is a believer, which is affirmed by her love for Him, as well as her desire to serve Him. This situation is a perfect scenario for a person to find help. The Father gives favor to the humble (James 4:6), and He will most definitely finish what He has begun (Philippians 1:6). I’m sure you’re operating from a “position of faith” in God as you help her, knowing He will provide favor and He will finish what He started in Mable’s life (Ephesians 1:5). I’m only affirming your faith in God for this process. In the “anxious passage” in Matthew 6:25-34, the Savior is beating the redundant drum of the Father’s care for His children. When all this is said and done, this will be Mable’s experience too—the Father will take care of her. My hope is for you to enter this counseling situation convinced of the Father’s love for her and His counseling provision for you. He will take care of both of you through this process. I have incurable confidence the Spirit of God can use me in the transformation of lives. – Howard Hendricks (paraphrase). In John 2:24-25, we observe Christ interacting with the Pharisees, who were trying to manipulate Him. John, the writer of the story, tells us how Christ would not commit Himself to the Pharisees because He knew all people. A key component of counseling is “already knowing the answers” before you enter into the counseling situation. Though you will not know all of Mable’s story, you will know her where it matters—at the level of her heart. 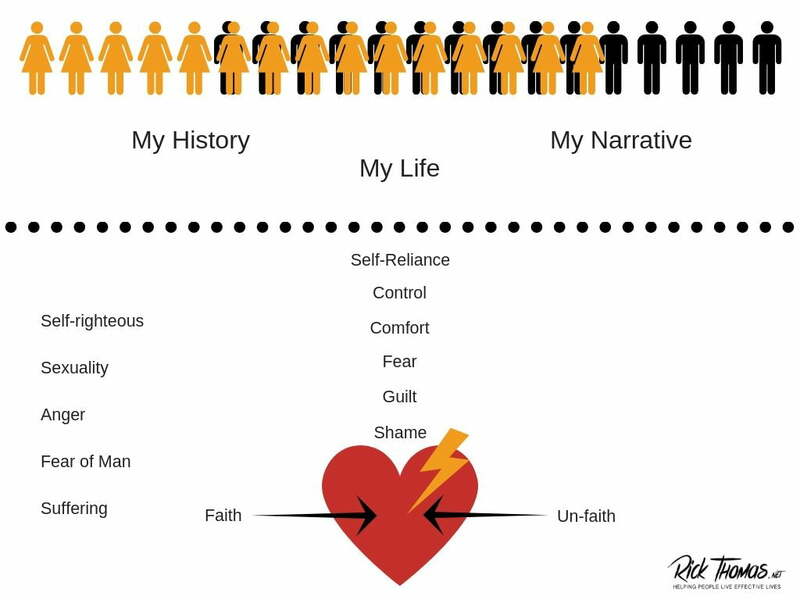 People’s stories can be radically different on the outside, but we’re all cut from the same cloth, which makes us similar on the inside, especially when it comes to temptations, sufferings, and weaknesses. You will find a lot of commonality between you and Mable. Mable does not want to suffer. Mable would love to reconcile with her mom. Mable struggles with transparency and vulnerability. Mable is cynical—guarding herself against being hurt again. The truth about Mable is that she is just as “normal” as the rest of us. We all struggle with these things, and there are more that I could mention. Think about your disappointments, discouragements, and hurts. You take what you know about yourself and other people and bring God’s Word to bear on her situation. You will hear themes about disappointment, hurt, and rejection. Listen for these things and begin to help her in a similar way in which the Father has helped you. You are now equipped with faith from the Father to counsel this young lady—knowing He has her back and yours, too. You are fully confident in God, expecting Him to do good for you, for her, and His glory. You are also fully confident God has given you what you need for Mable’s life and her godliness (2 Peter 1:3). Now it’s time for you to step into her story, much of which you already know because she attends your local church. Mable has a unique story, which God has been writing for over a decade now. You have the privilege to sit and listen as she shares what the Father has written. Your job will be to bring her a biblical interpretation of her story. As you listen to how her story has played out, the key will be for you to bring God’s perspective to her life as well as His original purpose for all the pain. You will do this by filtering her words through a biblical grid. This concept means you will be taking her unique story, filtering it through the Bible, and bringing her a new perspective—a more biblical one. You will be connecting her interpretation of her life to God’s analysis of her life. Your hope and prayer are that she will begin believing her story the way the Father intended. If she does this, all of those things which others meant for evil will turn right side up and put to a good use (Genesis 50:20). This outcome will release Mable to be one of God’s redemptive instruments in our upside-down world. Now, let’s take a look at some of the things you’re going to hear as you listen to her story and how you can practically bring God’s truth to what she says. Mable is human, which means the sins of Adam have affected her. She, like us, struggles with fear, shame, guilt, a desire to blame, hopelessness, lostness, and afraid to be vulnerable and transparent. When she shares her story, you will pick up on her “Adamic tendencies.” She not only received Adam’s curse, but she has been shaped to become all of these things by how her parents have treated her. Sin has happened to her three ways. Adam’s fall has sinfully shaped her. Her parents and others have sinfully shaped her. She has chosen to sin. Be prepared to walk her through the complicating matters of sin as you understand it through the “fear-shame-guilt complex.” Don’t plan on accomplishing all of this in one sitting. There is a layering of the temptations over her for many years. Just listen for now while bringing some biblical perspective. The long-term key is for Mable to enter into a discipleship situation where she can receive care in a more customized and extended way. Mable has been cast aside by her parents, both of them. There are few things in life more challenging than being rejected by those you’re supposed to love, obey, follow, and emulate. The sin of her parents mostly obliterated her normal desire for love. Adoptive children can feel this sense of shame and guilt deeply. They can also over-compensate in different ways to protect themselves from being hurt again. They can act out to keep people at arm’s length. They can give up their bodies to assure relational connections. They can try to reconcile with their parents, hoping it will change the past. This latter point sounds like Mable. 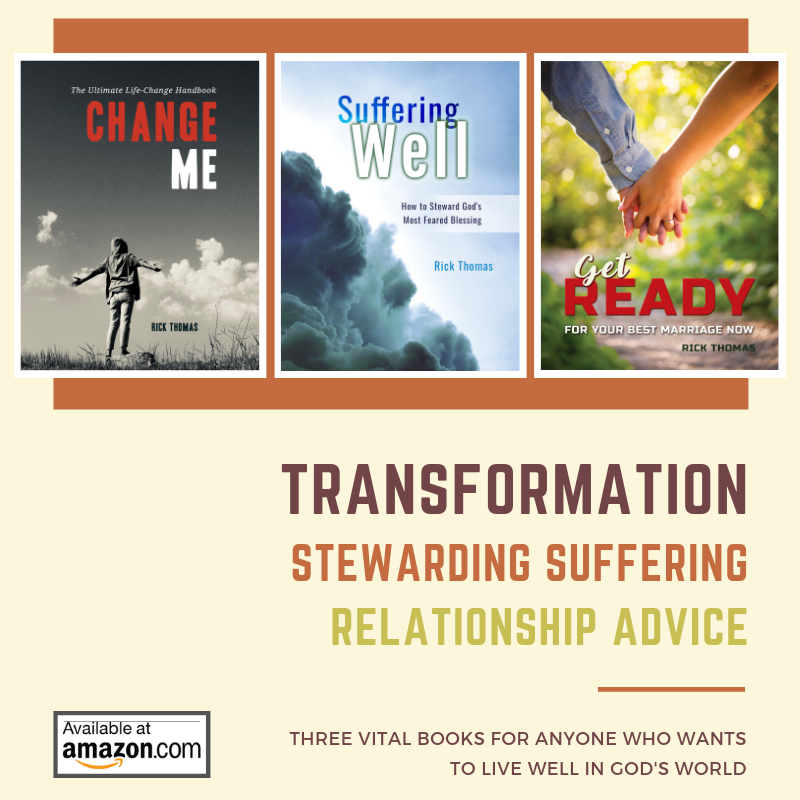 As you walk her through the specifics of how she has responded to being disowned, the main thing is to give her a biblical view of God’s love for her. Only the gospel can satisfy the longings of our hearts. Mable is normal—very ordinary. She wants to know and reconcile with her mother, which is not a sinful desire. Make sure she knows this. It is easy for insecure people to take on a false sense of guilt that is not from God. As she expresses her natural desires, be sure to affirm them. It would be odd for her not to want to be with her mother. The problem is not her desire for reconciliation, but her mom’s seemingly inability to reconcile. This problem is her mom’s, not Mable’s. It’s always been this way. Her mother is the one caught in sin (Galatians 6:1). Her mother is no different from the rest of us: she is a fallen creature of Adam’s race. Mable will have to work through the “doctrine of sin” as it pertains to her mother. Should her natural desires take her down a road of “ongoing personal inquisition” as to why these things have happened, you will want to stop her. There are no answers that will satisfy her curiosities other than sin. It was sin that came into her mother’s life and disrupted what could have been a beautiful relationship. Mable is experiencing, in this sense, what we all have experienced—disappointment from others. The best answer for her is to embrace the realities and ravages of sin. If she does not, she can become bitter, critical, and angry. Teach her to accept the Bible’s answer for this problem, which sin, and the Bible’s cure, which she will find through Christ. Any person in Mable’s situation is compelled to ask the “God question.” Where was God when all this went down? This question is typical, and after someone asks this question and gets the answer, they will struggle. The answer to the question is that God was there when all of this went down. I think sometimes the question asker would prefer to believe God was not there. When she realizes He was there, the next question is obvious: Why didn’t He do something? You will not only need to guard her heart at this point, but you’ll need to walk her through a “sound theology of suffering.” To think God allows sin and suffering into our lives is hard for any of us to accept. It cuts against the grain of our “self-reliant natures,” as it pushes us beyond our ability to control the situation (2 Corinthians 1:8-9). I suspect Mable will have a weak view of God’s suffering and sovereignty, which is where the gospel is most profound (Isaiah 53:10). To think it was the will of the Lord to crush His Son is stunning, as well it should be. Mable needs to see how Satan has two plans for her life: Plan A was to destroy her soul in hell. Her regeneration squashed that strategy. Plan B is to derail her in her sanctification. The devil cannot get her soul, but he can wreak havoc in her walk with God. Appeal to her to think biblically about these things, seeking to turn what Satan meant for evil into something gloriously good. She can turn the evil story into a good one to help many fellow sufferers. As mentioned a couple of times already, Mable will experience guilt, which can take on different roles in her mind. Guiltiness is not one-dimensional. It can be like a multi-faceted diamond. Listen to how she may lace her words with it. She could experience guilt because she is angry at her mom. She could experience guilt for not wanting to see her mom. She could experience guilt, thinking she is the blame for her life. She could experience guilt when things don’t turn out the way she hoped. She could experience guilt because she is questioning God. She could experience guilt because she is angry at God. There can be high degrees of the “guilt-shame-fear complex.” Listen to it and be ready to bring Mable back to the gospel. Give her a clear understanding of Paul’s perspective on condemnation, judgment, and fault-finding (Romans 8:31-39). He listened to see where she was and began to bring a better understanding of her perspectives. Let Mable be appropriately problem-centered, but you start bringing her to a God-centered way of thinking as you listen to her story.